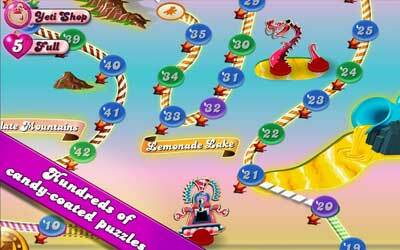 Candy Crush Saga 1.53.0.2 APK is now available. Update your app and get all the features, you can download the file to install it offline. The game was launched on the Facebook social media (April 2012) and the iOS and Android operating systems (November 2012). Nowadays, with almost inaccessibility up by everyone, then the player can easily access the game through mobile gadgets. This game is addictive, fun and well made. It helps to relieve stress, but can also be stressful and challenging. But I love this game.